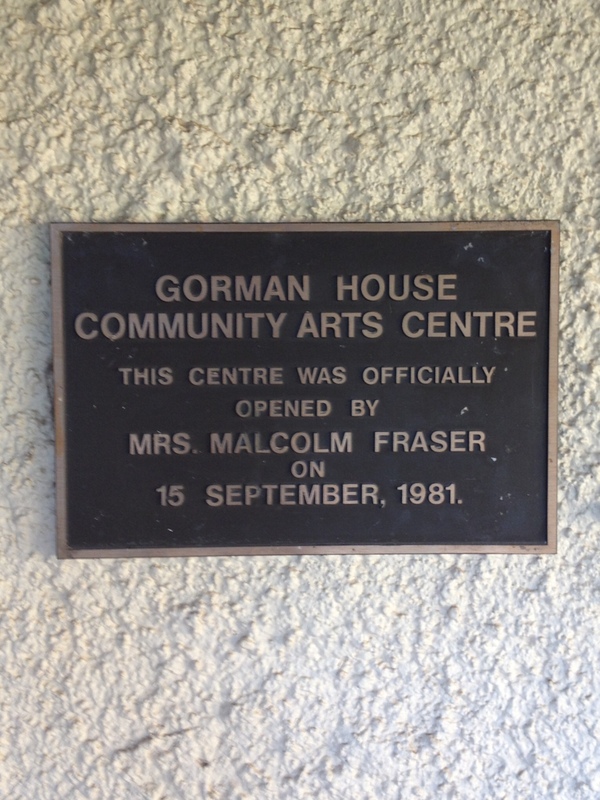 Thirty two years ago today Gorman House Arts Centre – back then the Gorman House Community Arts Centre – was declared open. Five months ago, I started working there, and next weekend we party. Friday 20 September and Saturday 21 is our annual Bloom festival, across both Gorman House and Ainslie Arts Centres – just when I thought I was taking a short break from working on festivals. This is going to be good: not only are we showing off the huge array of artists and artistic organisations that call the centres home, we’re also inviting a whole horde of local creative crews to have some fun at our place, including In Canberra Tonight, Scissors Paper Pen, Canberra Musicians Club and CanberraZine Emporium. The whole thing will be overseen by The Skywhale, our unlikely muse. There will be Skywhale sketching, Skywhale food and Skywhale yoga, just for starts. I was recently interviewed about Bloom by Alice McShane for BMA Magazine – read the article here to find out more about the ideas behind the festival, then check out the full festival program and clear your plans for next weekend.